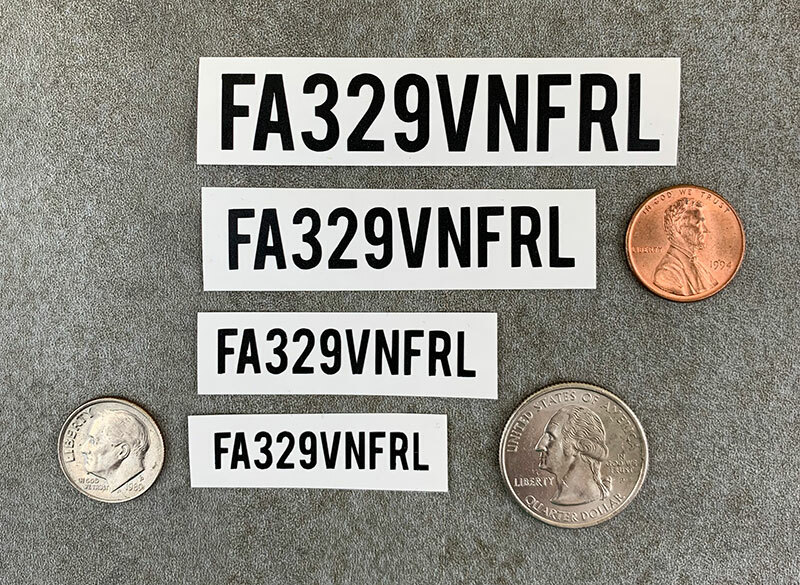 After registering with the FAA, you'll need to affix your FAA registration number to the exterior of all of your drones (see more details here). 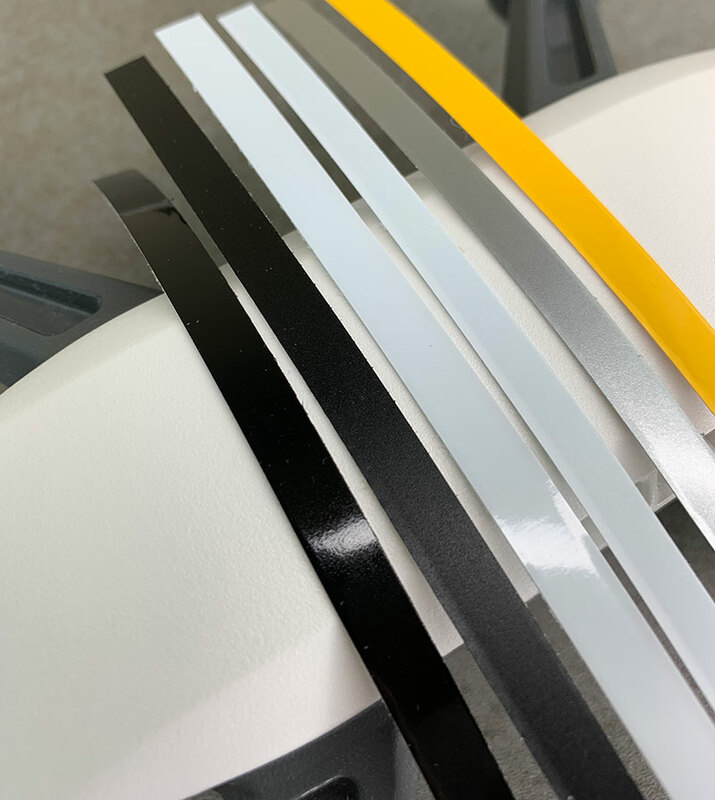 These decals are custom cut from high quality ORACAL vinyl and are weatherproof. This 8-pack of decals is available in various colors and sizes. If you need more than 8 decals, you can add more decals for $1.50/each. Choose the color and size (or multiple sizes) you'd like below. 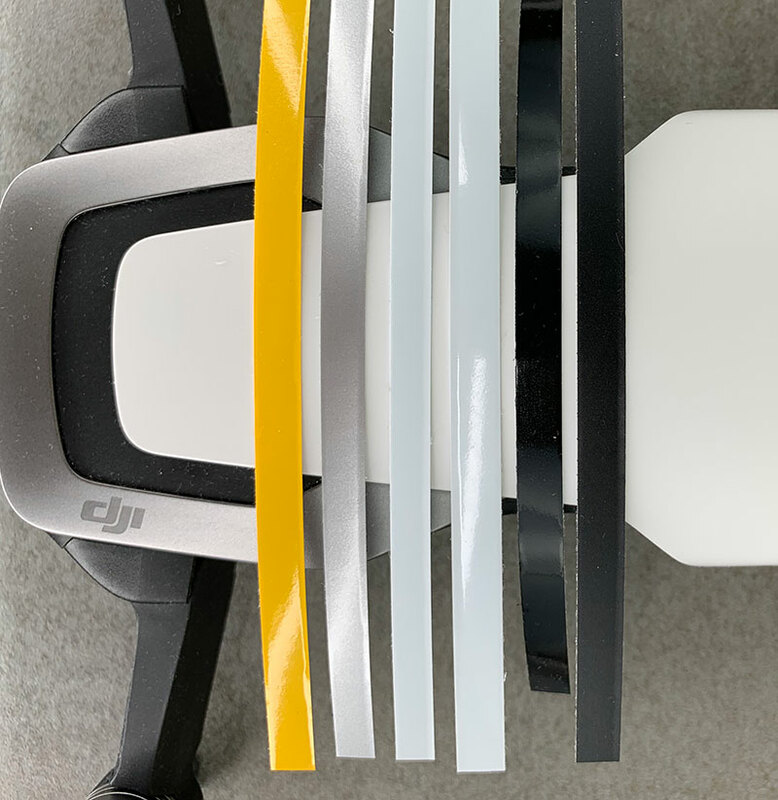 They are a perfect fit for a DJI Phantom, Mavic, Mavic Air, Spark, or any other drone. Use the included alcohol pads to clean the surface of your drone before installing the decals. 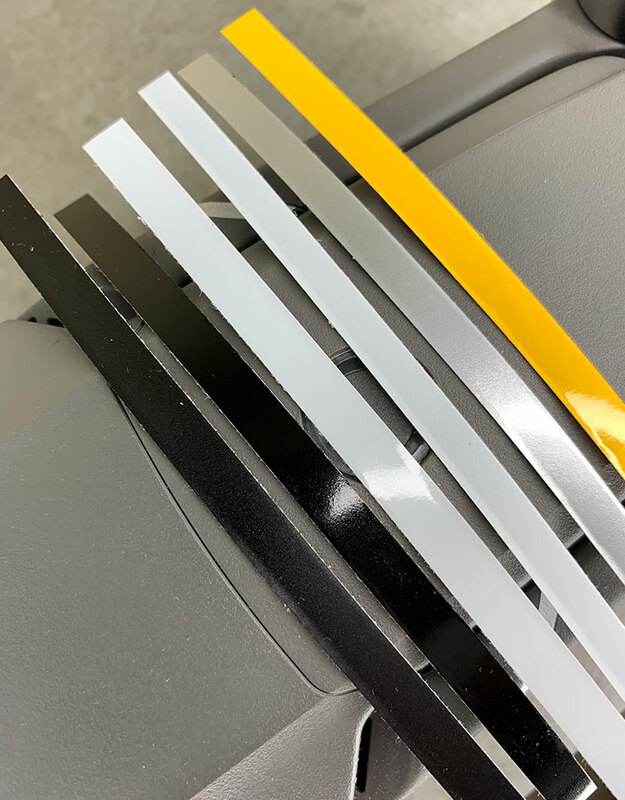 Removing any dirt and oils from your fingers will ensure the adhesive on the decals is able to create an excellent bond. The application process is as easy as removing the paper vinyl backing, lining up the decal on your drone, pressing the vinyl decal with your fingers, and carefully peeling off the clear transfer tape from the top of the decal. Note: While the application process is not challenging, you do need to work slowly and carefully. It's not as simple as peeling off and applying a normal sticker. Watch this video for an example of what's involved in the application process. How many of each size would you like? Choose up to 8 total decals. 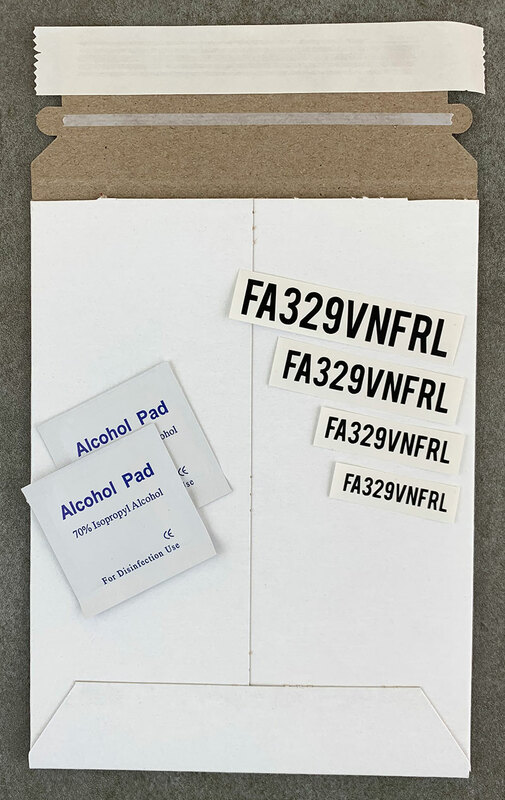 If you choose more than 8 decals, $1.50 per additional label will be added to your order. Note: The decal width will vary slightly depending on the letters and numbers in your FAA registration number. For example, the letter W is wider than the number 1. What are these decals made of? The decals are custom cut from high quality ORACAL 651 Intermediate Cal vinyl. 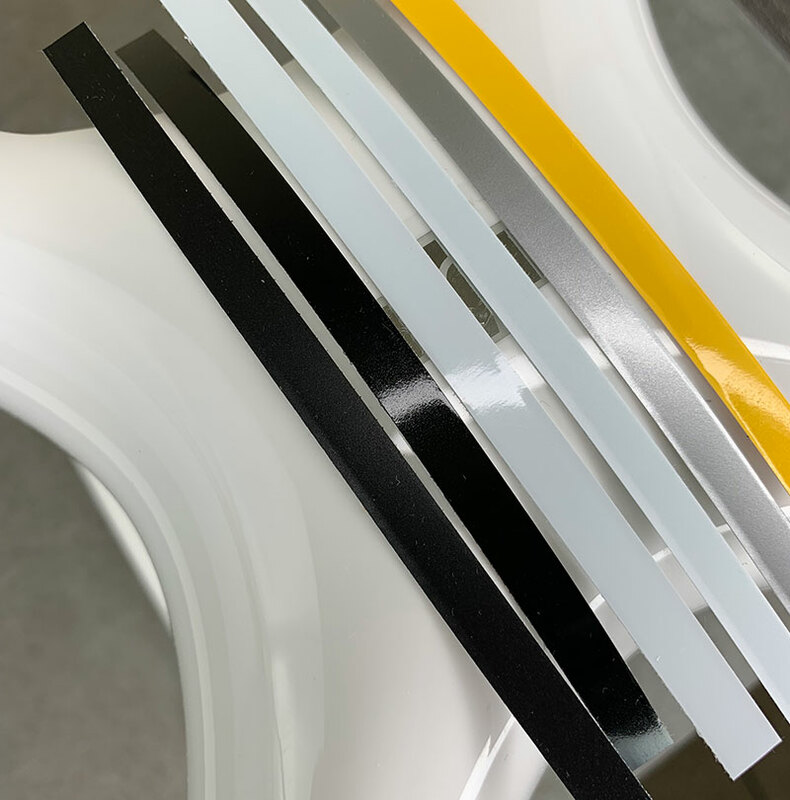 The manufacturer states the vinyl is weatherproof and will last up to 4-5 years when used outdoors. 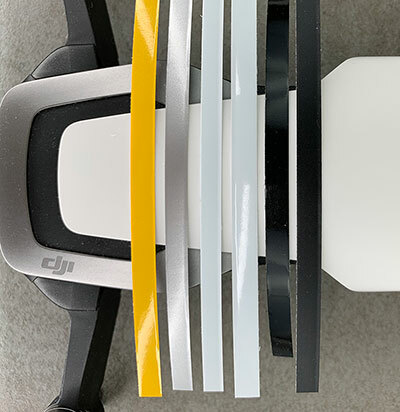 Since your drone will be indoors most of the time, the decals will likely last for the lifetime of your drone. Do the decals have a colored background? No. The rectangle white background in the photos above is the white paper backing the decals are stuck to. 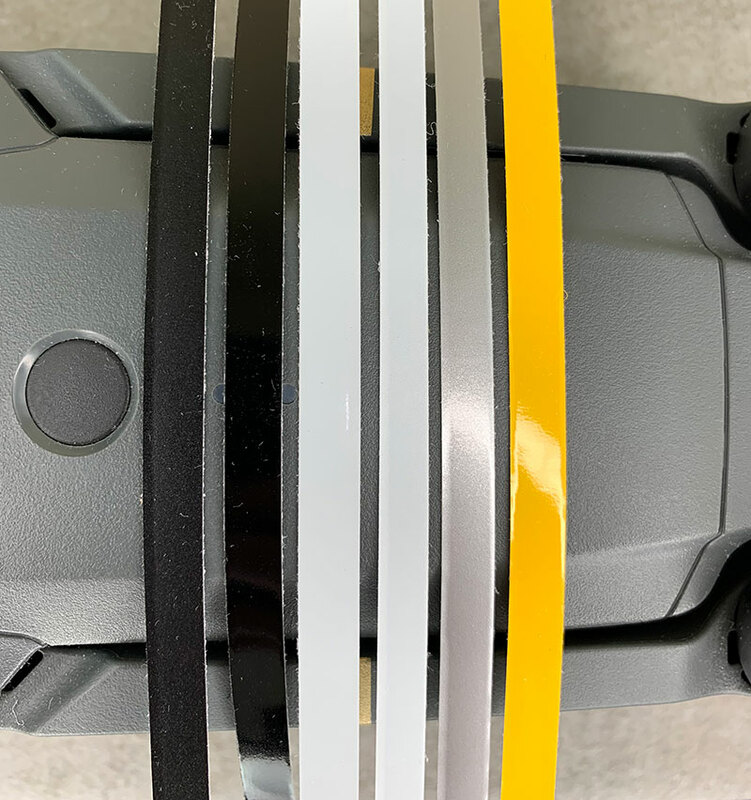 When the decals are peeled off the paper backing and applied to your drone, you will only see the letters/numbers in the color of your choice. How do I install these decals? Vinyl decals are easy to install. 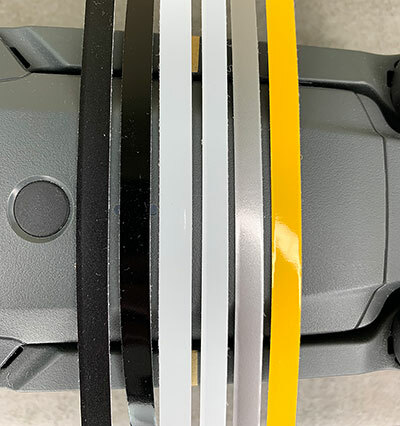 Just remove the clear transfer tape from the paper backing, line up the decal on your drone, press the vinyl down with your fingers to stick the vinyl to the drone, and then peel off the clear transfer tape. See this video for an example. When must I register my drone? 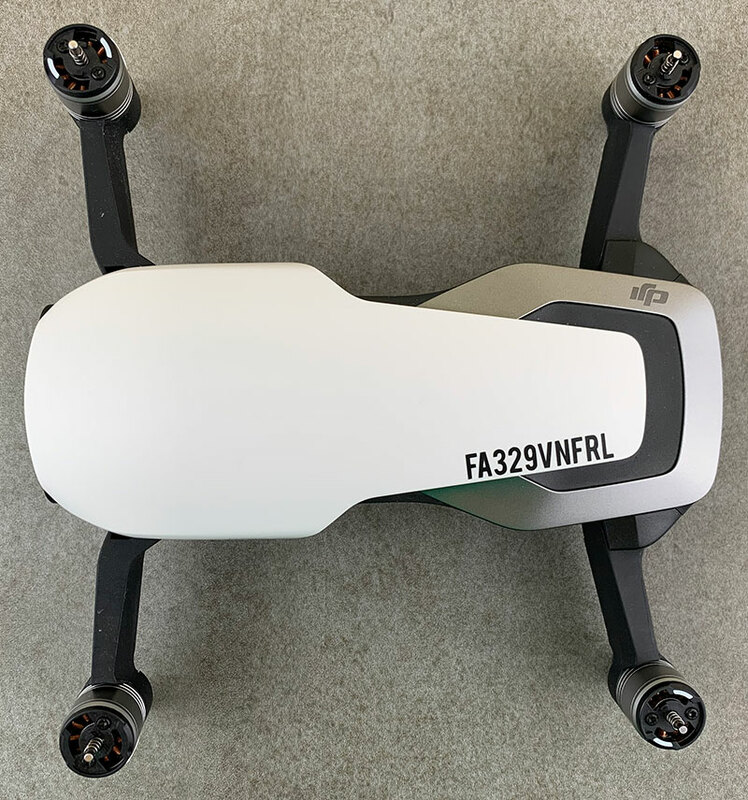 Before flying in the US, you must register with the FAA and attach your FAA registration number to your drone. Where can I register my drone? You can register online on the FAA's UAS registration page. Register under "Section 336" if you're only planning on flying as a hobbyist. How do I mark my drone with my registration number? 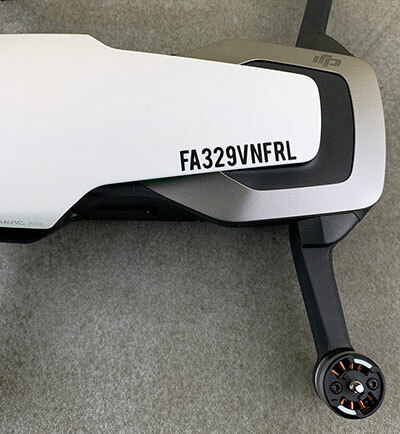 You may use any method to affix the number, such as permanent marker, label, engraving, or other means, as long as the number on the exterior of the drone and is readily accessible and maintained in a condition that is readable and legible upon close visual inspection. See more details here. Registration is required by US law. It also helps the FAA ensure safety for you, others on the ground, and manned aircraft. UAS pose new security and privacy challenges and must be traceable in the event of an incident. See more details here. Your decals will be created, packaged, and shipped within one business day from the time you place your order. Orders are shipped via USPS first class mail in a strong, rigid paperboard mailer. USPS does not pick up mail on Sunday, so no orders will be shipped on Sundays. Orders are shipped from Harrisburg, PA (US). Most orders placed before 12 PM EST are shipped on the same business day. Contact Mike@PhantomHelp.com if you have a question or need assistance with your order.